Hi and welcome back to Part 2 of our magnificent airport transfer guide where we answer all your questions and enquiries about airport transfers. Today we will be talking about payments, discounts and surcharges and we will pass through a new set of 12 questions, the same number we answered in part 1 which you can read here: Stansted transfer guide part 1 . 1. How can I pay for the journey? We offer you a lot of ways to pay for your taxi transfer. 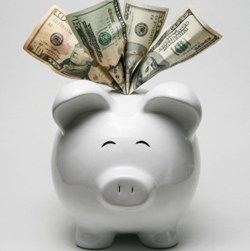 You can select the one which is more convenient for you and we’re fine with any of the payment methods you choose. You can opt for one of the following: cash to the driver, credit card payment online, paypal, google wallet or bank transfer. Because we keep all our charges transparent we would also like to let you know that all online payments are charged with an extra processing fee of £1. 2. Can I pay by credit card inside the taxi? Some of our taxis are equipped with POS but we suggest that you ask the operator about this to be sure that the vehicle coming to pick you up has one as well. If not, please choose any from the remaining options. 3. Is the price per car or per person? All quoted prices are per the vehicle. In general all minicab companies in London charge per taxi and not per person. 4. Do your prices displayed on the webpage include VAT and all other fees? We hate hidden charges as much as you do so at the time you have booked a journey for a price we promise that we will keep it fixed and we will not add any extra charge. All our prices include VAT and you will not have any unpleasant surprises regarding the price you booked the taxi for. As we have told you above the prices are fixed and will not change unless you decide to change the details of your transfer. 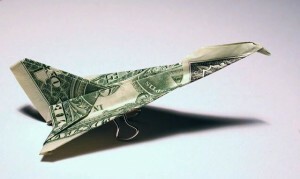 But changing the details of your transfer doesn’t necessarily mean that the price will be higher. Depending on the modifications it may sometimes even be cheaper. 6. Do I get a discount if I book with you? Because we value our loyal customers you will receive a 10% discount if you will register on our website. We know that you deserve even more than 10% therefore we are currently working on a Loyalty Programme for our customers. We are not yet sure when it will be available but make sure that you will be the first to find out! 7. Will you charge me extra if the flight is delayed? As we were saying in the first part of our Complete Customer Minicab Guide, our operators and drivers always check the flights for delays. Therefore, your waiting time and the free 30 mins of waiting time offered by us are taken into consideration starting with the moment the plane landed. This means that you will not get extra charged if the flight will be delayed and our taxi driver will still be patiently waiting for you in the airport when you come off the plane. 8. How much extra does a baby seat cost? A baby seat only costs £5 extra, an amount we feel to be small enough for the safety of your baby. But, as we were saying in our previous taxi guide, the law doesn’t oblige you to use a child seat so it’s really up to you if you request one or not. 9. Should I tip the driver? Tipping the driver is not obligatory but if you were happy with his service and he was helpful we’re sure that he won’t mind a bonus. 10. Can I pay with another currency than pounds? Not many companies offer the possibility for you to pay in another currency than pounds as many are afraid of sudden changes in the exchange rate. For some time we have also avoided offering this possibility to customers but, because we want to offer you as many options as possible, we integrated this possibility as well. Still, in order to make up for any possible differences, in case you would like to pay in another currency than pounds, we will have to increase the price with an insignificant amount of £5. a) The Customer will be able to cancel a reservation within 7 days of making the reservation at no cost where the start time of the Service is after 7 days of the reservation. b) No reservation which has been accepted by the Provider may be cancelled by the Customer except with the agreement in writing of the Provider and on terms that the Customer shall indemnify the Provider in full against all loss (including loss of profit), costs (including the cost of all labour and materials used), damages, charges and expenses incurred by the Provider as a result of cancellation, where the start time of the Service is prior to the expiry of 7 days. c) All cancellations must be notified by calling 02088860026 or e-mailing [email protected] If calling from abroad, the number to dial is 00442088860026.
d1) Cancellations notified more than 24 hours of the pick-up date and time bear a £10.00 cancellation fee. 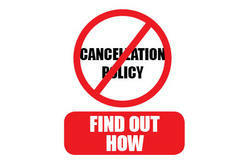 d2) Cancellations notified from 3 to 24 hours prior to the pick-up time bear a charge equal to 50% of the quoted Price. d3) Cancellations notified within 3 hours of the pick-up time bear a charge equal to 100% of the quoted Price. e) The cancellation of vehicles booked by Customers and not suitable to the purposes thereof will be subject to clause 4.3.3 in case such vehicles are driven up to the agreed pick-up point. f) The modification made by the Customer regarding the type of vehicle, after the reservation has been accepted by the Provider, shall incur a £10.00 charge. 12. Is this the final price? Yes, the price quoted is the final price and this is also the final question we will answer in our Complete Customer Minicab Guide. While we hope that the taxi guide was a helpful lecture we would like to thank you for taking the time to read this. If you had any other questions that we forgot to answer to here just e-mail [email protected] or call 020 888 600 26 and we will be more than happy to answer all your enquiries.